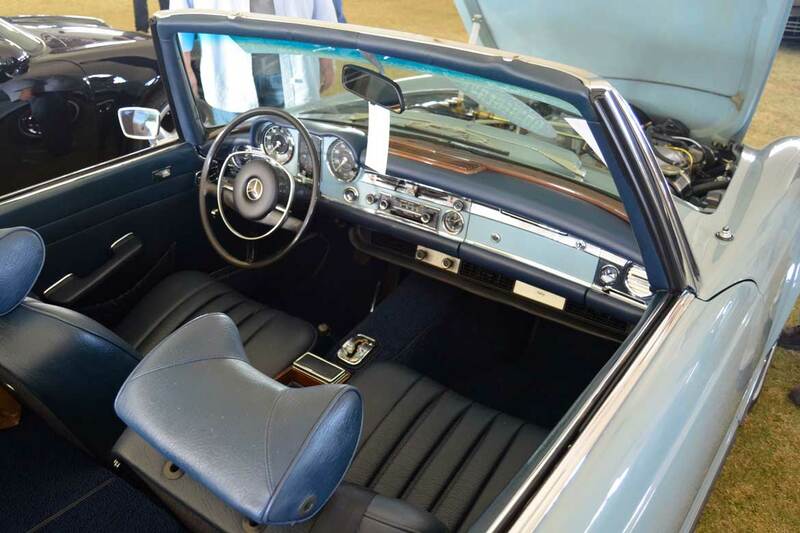 The 1970 Mercedes 280 SL offered at Russo and Steele in Scottsdale this year was a very nice car and brought a strong price of $85,800 against an auction estimate of $85,000 – $125,000. This was said to be a one owner car from new. Painted in the unique color combination of Horizon Blue (304 G) with contrasting Medium Blue (350 H) hard top and hub caps with blue MB tex interior. The odometer read 69,608 and was reported to be original mileage. 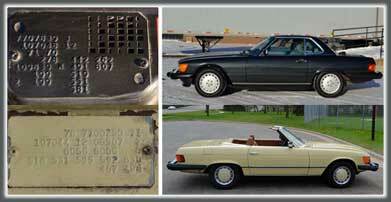 This car had all the things you want to see in a quality Pagoda SL in terms of original sheet metal. 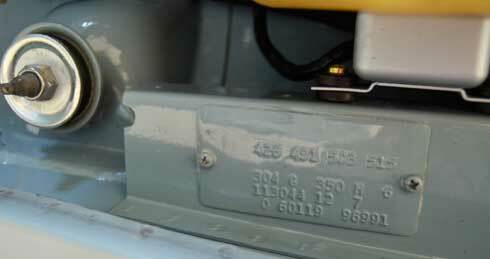 It had an automatic transmission and was equipped with air conditioning. 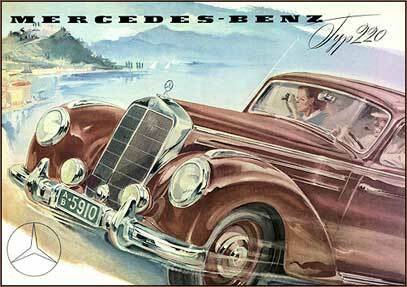 It was in better cosmetic condition than the ivory 280 SL at Gooding and Co. and realized a higher price as a result. I think an interesting color combination like this two tone blue also helps this car, as opposed to the rather ho-hum Ivory color of lot 109 at Gooding and Co. (see a detailed analysis of the Ivory 280 SL at Gooding and Co. by clicking this link). Correct color codes, body number to match hood, soft top well cover, etc. The engine bay of this car was clean enough, but reflected a used car that had been enjoyed over the years with some new parts, seals, grommets, etc. Unlike so many other Pagoda SLs you see at Russo and Steele, this car had its original finishes under-hood, wear and tear, but an overall, great look of what I call an ‘un-messed with car’. The engine bay inspired confidence. It’s original Becker radio was still in the dash. The car was complete with original purchase paperwork, all the books and manuals and tool kit, these extras matter to the market. 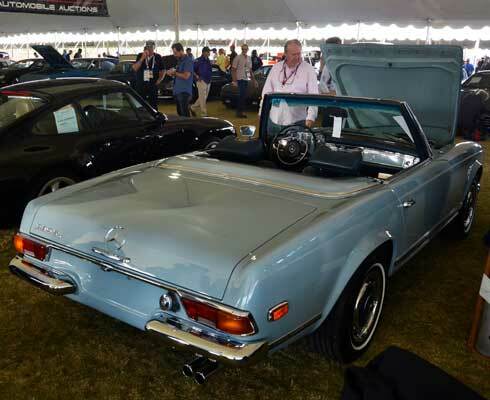 The sale price of $85,800 is very strong money for a largely original 280 SL at a Russo and Steele auction which tells me that a good car will still attract the right buyers no matter where it is sold. This 280 SL was well sold in today’s market, but I think it was also well bought… an interesting color combo, one owner, full history… you don’t find these everyday. See the entire listing of Russo and Steele’s auction results from Scottsdale 2018 by visiting their website here.